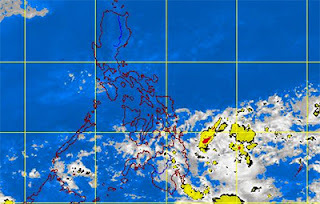 The low-pressure area spotted at east of Mindanao has now become Tropical Depression. The seven areas in Mindanao has now under storm signal no. 1, according to PAGASA. PAGASA weather bulletin as of 5 a.m. today, "the center of Tropical Depression ZORAYDA was estimated based on all available data at at 950 km Southeast of Hinatuan, Surigao Del Sur." Bagyong Zorayda is the newest storm in the country after the super typhoon Yolanda traumatize and ruin the city of Tacloban, Leyte and other cities in the Philippines. PAGASA estimated the amount of rainfall from 5 - 15 mm per hour (moderate - heavy) within the 300 km diameter of the Tropical Depression. "Sea travel is risky over the Northern seaboard of Northern Luzon and the Eastern seaboards of Northern and central Luzon," PAGASA said. For the meantime, please bookmark this page now or visit this site more often for you to be updated. You may also share this post to your friends so they may know about Bagyong ZORAYDA Update. Comments or suggestions about "Bagyong ZORAYDA Update as of Monday, November 11, 2013" is important to us, you may share it by using the comment box below.